Join us this summer for a series of festive pop up picnics at four different community gardens around Portland. Enjoy a free dinner, meet your neighbors and explore the gardens! 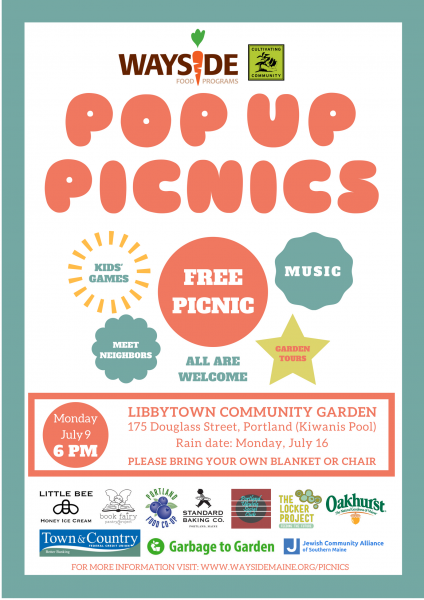 All picnics are from 6-7:30 PM and rain dates are the Monday after the originally scheduled date. These events are free and open to all. Please bring your own picnic blanket or chair. 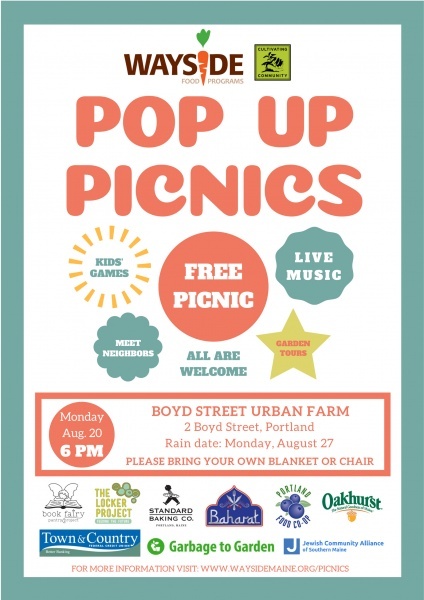 Pop up Picnics are organized by Wayside Food Program and Cultivating Community and sponsored by Town and Country Federal Credit Union Better Neighbor Fund. We are excited to announce all of our partners for our kick-off gathering! And as always, a full picnic served by Wayside Food Programs and Community Garden Tours hosted by Cultivating Community. A big thanks to Garbage to Garden for providing composting and recycling services and to Town & Country Federal Credit Union Better Neighbor Fund for sponsoring this series. 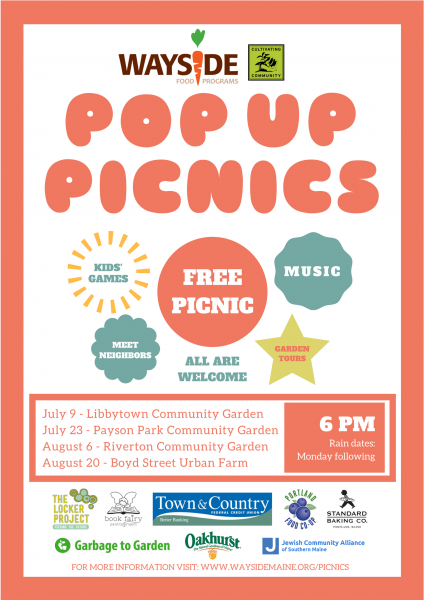 We are excited to announce our partners for our 2nd Pop up Picnic of the summer! 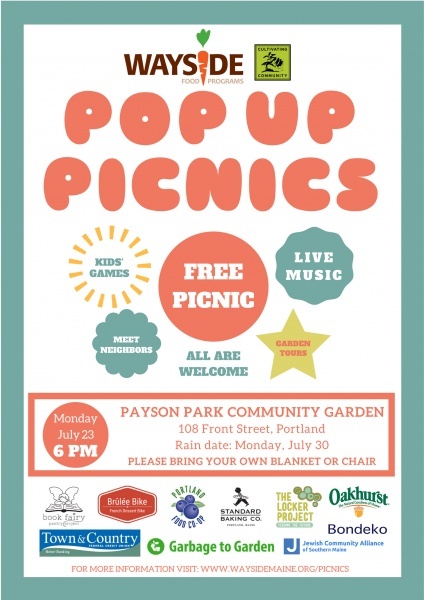 We are excited to announce our partners for our 3rd Pop up Picnic of the summer! We are excited to announce our partners for our 4th and final Pop up Picnic of the summer!